Ebonie Jones has been named in the Great Britain squad for the forthcoming AIBA Women’s Boxing World Championships. The 20-year-old has been selected as part of a seven-person line-up for the event in India (November 15-24). 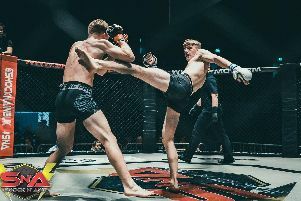 The former Heart of Portsmouth ace, who now competes for the Army, will fight at flyweight (51kg) in New Delhi. That’s despite claiming European Under-22 Championship success at bantamweight earlier this year. Jones, from Drayton, is part of the GB podium squad that trains full-time at the English Institute of Sport in Sheffield. Meanwhile, Heart of Portsmouth’s Kerry Davis has been added to the GB training programme.